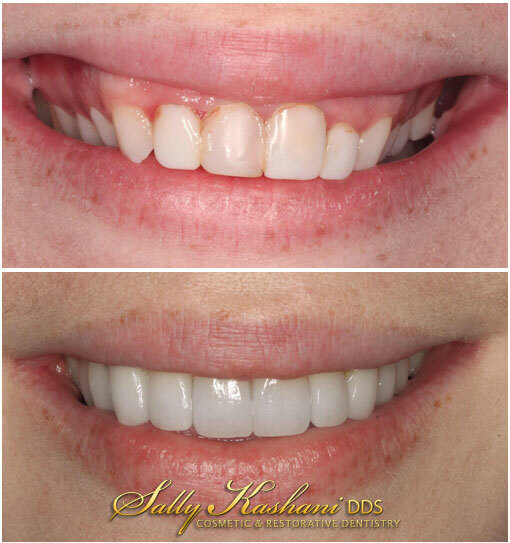 Dr. Sally Kashani offers each and every one of her patients a gentle, personalized session inside of her Hollywood dental practice. Gentle dentistry is a specific type of dentistry that caters to both children and adults who find it difficult to make it to their dentist because of developed fears that have occurred for a variety of reasons. Dr. Kashani understands that not everyone is comfortable with his or her dentist, or dentistry in general. Some people have avoided the dentist for years due a childhood or early traumatic experience. And sometimes they are hopeless and believe there is no way to get treated, or it’s been too long and there is too much damage to their teeth. If this scenario describes you, then Dr. Kashani's Hollywood dental practice is a perfect fit. She truly cares about her patients and their experience – ensuring that they are comfortable and pain-free the minute they step into the door. She works with them to alleviate their fears, and many people over time learn to trust dentistry again! Sedation dentistry is an effective solution in helping anxious/nervous patients breeze through their dental appointments without discomfort. Many times the experience is a vague memory after. There are various ways of curbing your anxiety with the most popular option being conscious sedation, typically involving oral sedation, a mild form of sedation dentistry. A pill is taken in order to calm your nerves, allowing you to relax as you proceed with your appointment. Patients are still able to communicate with Dr. Kashani, but will not feel as much pain or anxiety and often fall asleep. If you are looking for more than a mild sedation, then Dr. Kashani's office also offers IV sedation in which you are "sleeping" for the entire duration of the procedure. All these procedures can be discussed with Dr. Sally and her staff to see if you are the right candidate. You don’t have to be afraid of Dr. Sally Kashani. She and her warm, friendly staff will take care of you. If you are interested in visiting our office located in Hollywood, then please fill out our convenient online form to request an appointment or you can call us at (818) 508–7272.